The infrared region appears between 0.8 microns to 1000 microns wavelength and this spectrum is more than that of the visible spectrum. By detecting anomalies often not visible to the naked eyes, thermography allows corrective action well before the costly system failure occurs. 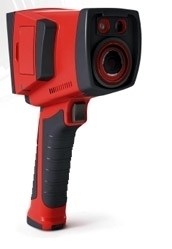 Thermal imaging cameras detect radiation in the infrared range of the electromagnetic spectrum (roughly 900–14,000 nanometers or 0.9–14 µm) and produce images of that radiation, called thermograms Infrared technology gives us the ability to “see” and measure temperatures on defective components and the normal wear, chemical contamination, corrosion, fatigue and faulty assembly in many electrical systems. The resistance or molecular friction produced within these problem areas is visible in the infrared spectrum and visible to all the infrared cameras that we offer. All machinery produces heat, whether we are looking at an electric motor, combustion engine, a gearbox, or a conveyor. 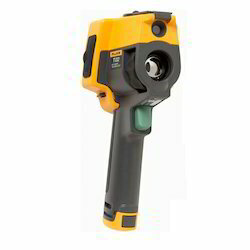 Using infrared cameras, we can see the friction that is produced in a mechanical system. In the case of electric motors, we can identify bearing problems quickly and easily as the bearings generate more heat as they become pitted, or when they are under-lubricated and sometimes over-lubricated. The infrared region appears between 0.8 microns to 1000 microns wavelength and this spectrum is more than that of the visible spectrum. By detecting anomalies often not visible to the naked eyes, thermography allows corrective action well before the costly system failure occurs. Infrared technology gives us the ability to “see” and measure temperatures on defective components and the normal wear, chemical contamination, corrosion, fatigue and faulty assembly in many electrical systems. The resistance or molecular friction produced within these problem areas is visible in the infrared spectrum and visible to all the infrared cameras that we offer All machinery produces heat, whether we are looking at an electric motor, combustion engine, a gearbox, or a conveyor. 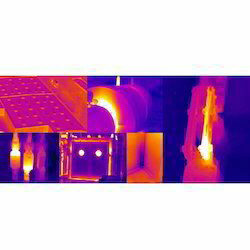 Using infrared cameras, we can see the friction that is produced in a mechanical system. In the case of electric motors, we can identify bearing problems quickly and easily as the bearings generate more heat as they become pitted, or when they are under-lubricated and sometimes over-lubricated.